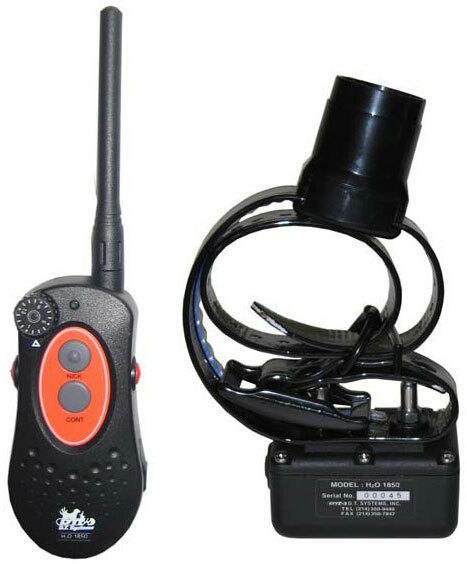 This fully waterproof unit covers both basic and advanced training needs for both professionals and novice users alike. Whether you are knee-deep in cold icy waters or knee-deep in tall grass on a dry sunny day, the H2O PLUS is designed with the harshest environments in mind. Vibration is a great feature with many different applications. Many of D.T. 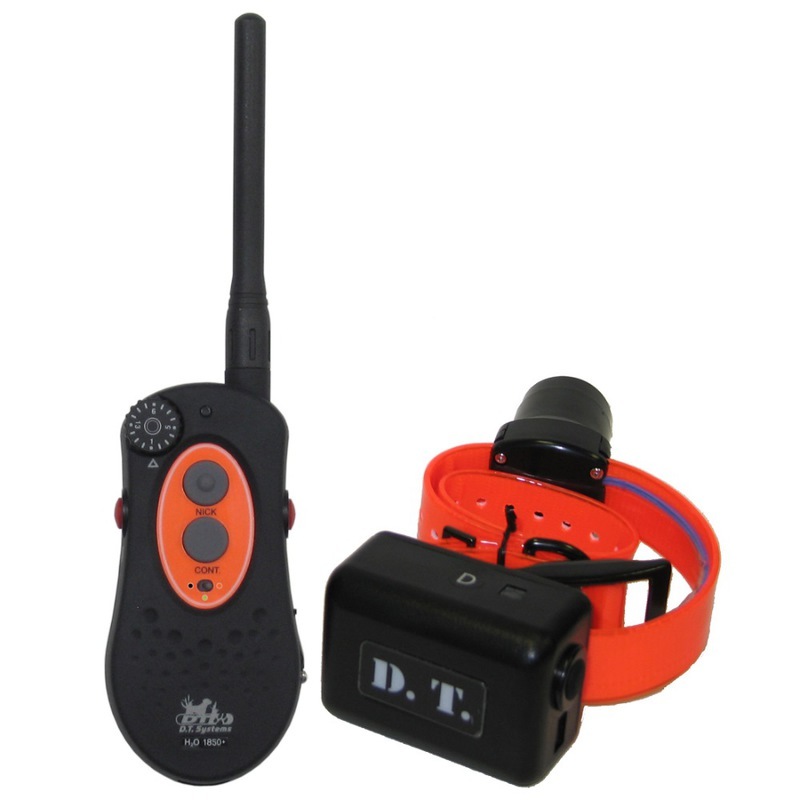 Systems' competitors use a tone feature that makes the collar unit emit a quiet beep. We feel that Vibration is a more effective alternative because your dog is the only dog that will feel the vibration (other dogs can hear your dog's tone and your dog may hear another dog's tone command, which may cause confusion). Like with most humans, most dogs will also lose their hearing as they get older so it will become increasingly difficult for them to hear the audible tone, but they will always be able to feel the Vibration feature. Also, your dog will be able to feel the vibration when the collar unit is submersed under water if he ever decides to go swimming. The tone from other collars may not be heard if the collar is under water. Depending on how you train with it, Vibration can be a warning, a command, a way to get your dog's attention, a substitution for stimulation (especially for sensitive dogs), or even a reward just to name a few uses. 13" x 11" x 5"
12" x 10" x 4"
This product is shipped from our warehouse in Cincinnati, OH, USA.